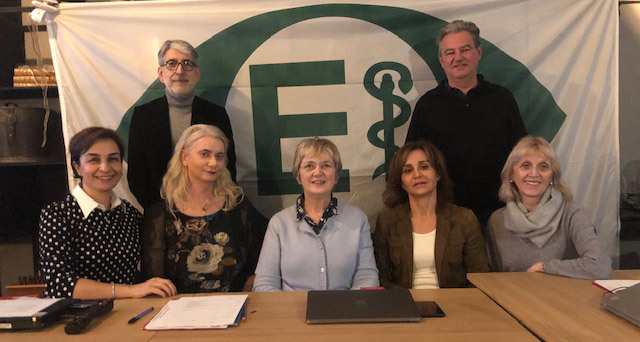 Important: ECLSO will organise a Symposium within the framework of the SOE congress in Nice (June 13th-16th 2019). 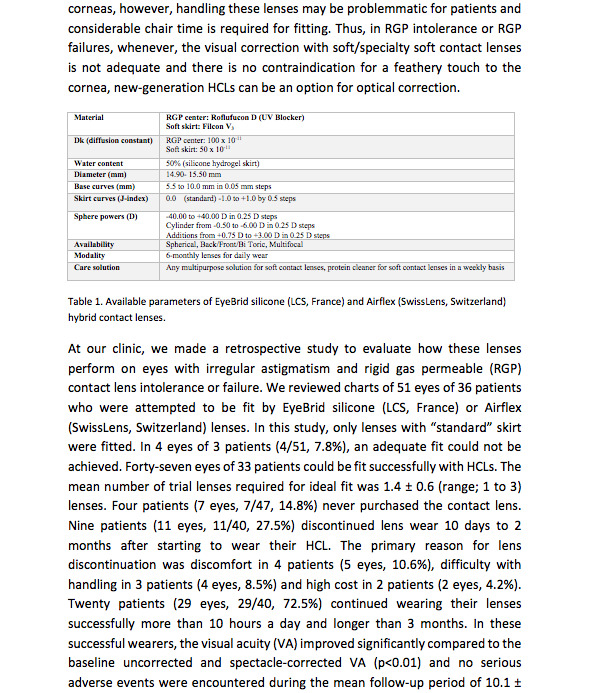 Our Symposium is entitled “Contact Lens and Myopia Control” and will be on Friday June 14th from 8 until 9.30 am. Location: Acropolis Conference and Exhibition Centre, Nice, France. “What should we do when a myopic child walks in?”, Ömür Uçakhan, Turkey. 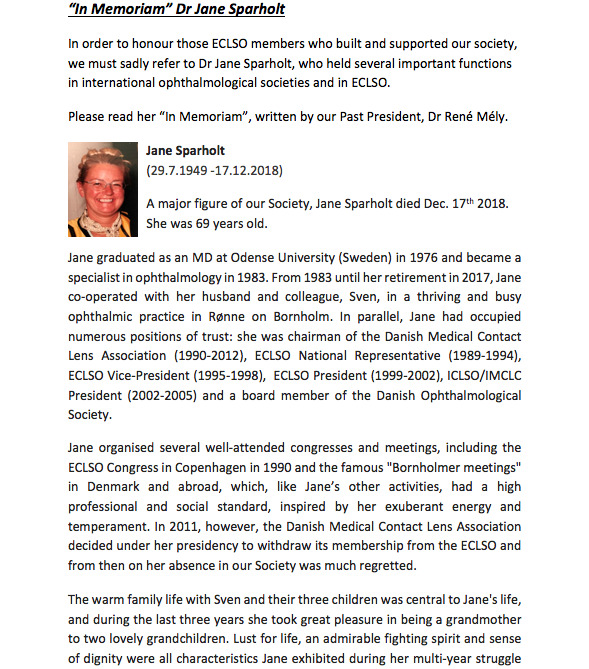 ECLSO warmly invites you to attend these lectures. In order to do so you have to register for SOE. 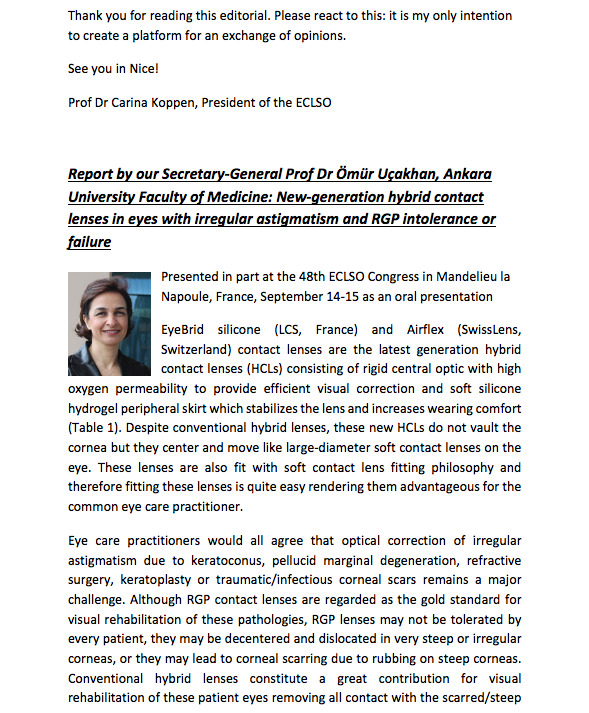 The annual General Assembly will be organised on June 15th, 2019, at 4 pm, at the Hotel Le Saint Paul, 29, Boulevard Franck Pilatte, 06300 Nice, about 3 km away from the SOE major congress venue. We would appreciate your presence there. It is an occasion for communication and interaction. You are very welcome to send us your suggestions and ideas. From our side, we promise to keep you informed through this website and our Newsletter. May we therefore ask you to inform us of your recent e-mail address? 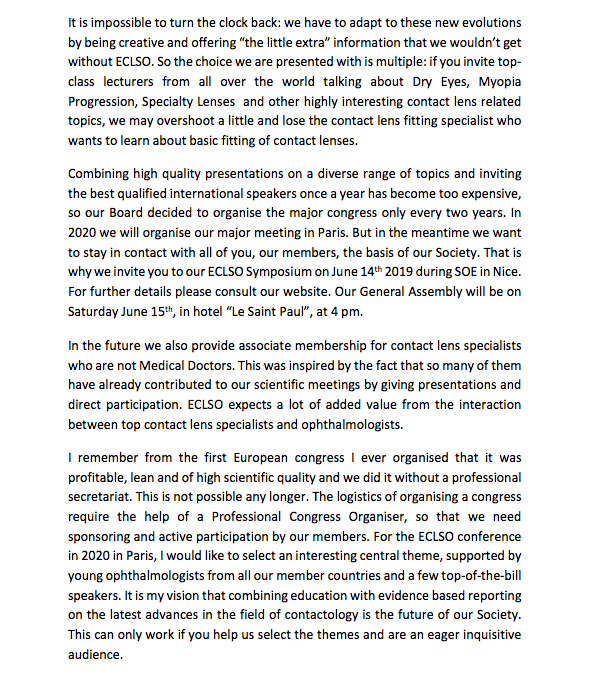 It is sufficient to send an e-mail to our Secretary-General (omouru@yahoo.com), mentioning “ECLSO member”. 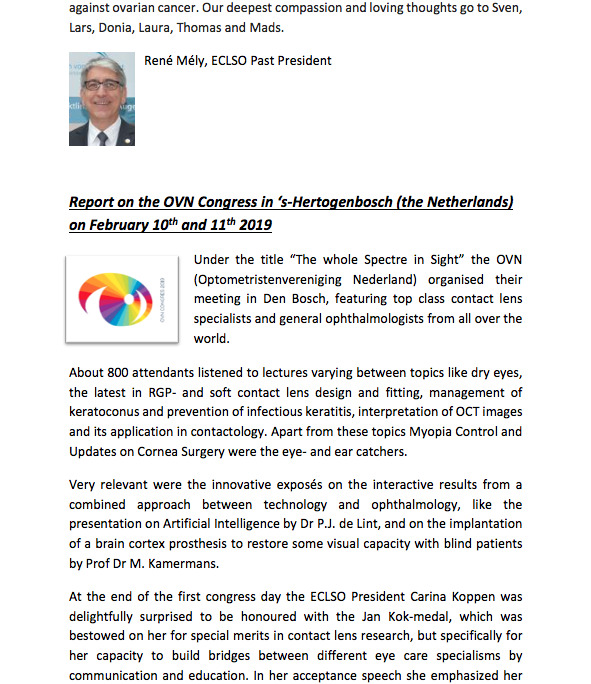 Please read our “Newsletter 17” on the following pages or under the button “Newsletter”, featuring the word from the Editor, an abstract from a scientific publication by Ömür Uçakhan, the In Memoriam for Dr Jane Sparholt by René Mély and a report on the OVN congress in the Netherlands. 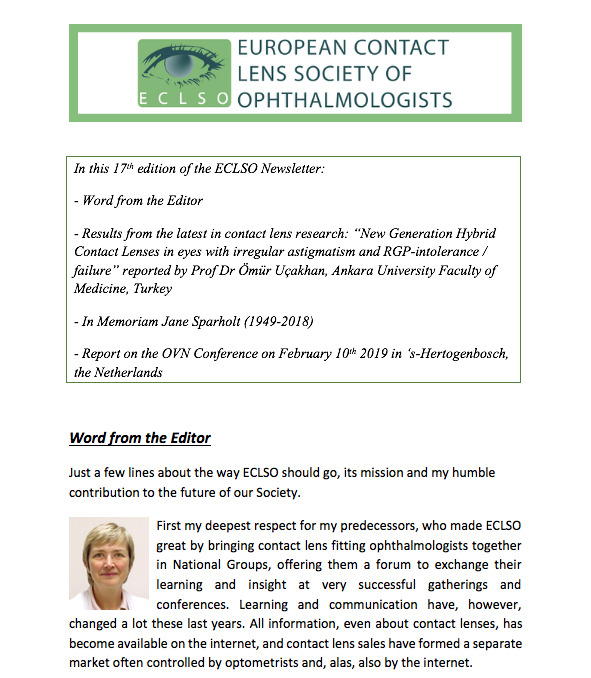 Please talk about ECLSO with other ophthalmologists in your country, share your experience, interesting ideas and new clinical studies with us, stay in contact by mailing us directly or through your National Representatives and enjoy reading the Newsletter. 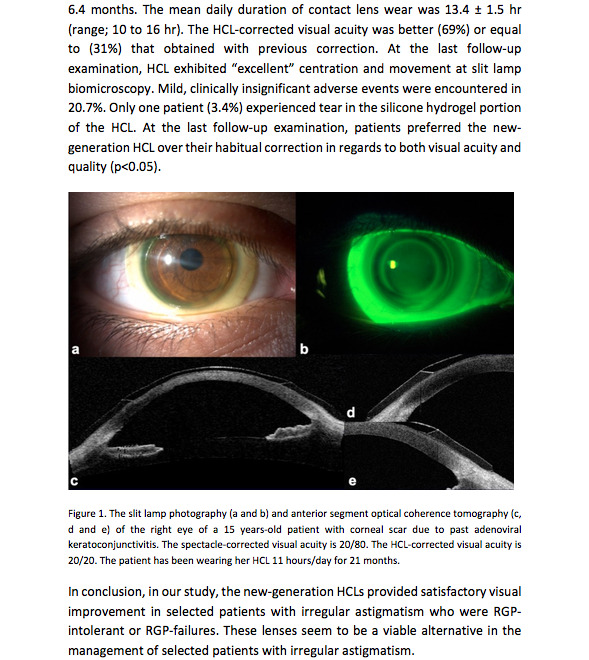 ECLSO declines all liability for articles published in this Newsletter that would contain incomplete or erratic information.